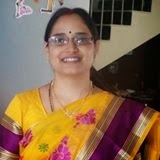 I had been to my native place Nellore last month. My cousin's wife gave me this powder recipe. I liked it not only because it is tasty but also we need not waste fresh coconut available in our homes during the festive season. Every time we cannot make sweets or even we cannot keep it in the refrigerator for long. 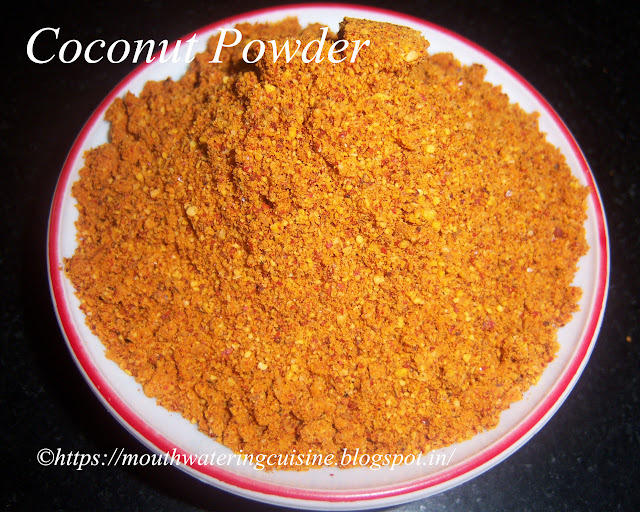 So to make the best use of the fresh coconut make this powder and it can be stored as long as one month without spoiling the taste and freshness. Serve this with hot piping rice and some oil over it. We can serve it with idli or sprinkle a little powder on crispy dosa to make it tastier. We normally have fresh coconut flesh during festive in our homes. I cut them and keep it in the refrigerator, it stay fresh as long as a week or two only. But after two weeks or even less than that period, it gets spoil so we have to throw it. 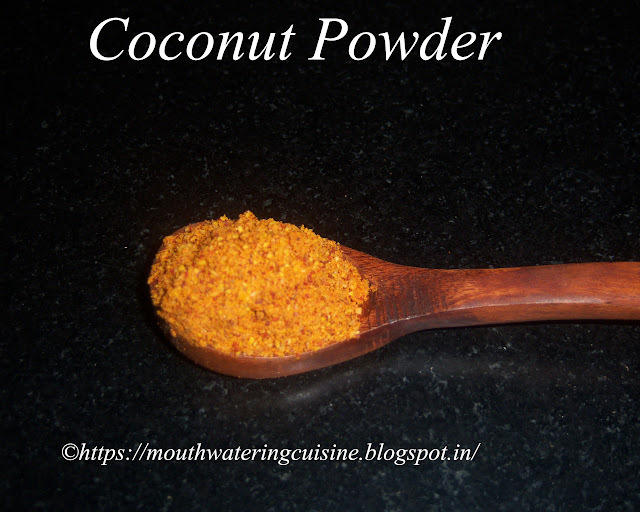 Coconut Powder -- Serve it with hot rice, idli or dosa. Great coconut using grater and keep it aside. Heat kadai and dry roast grated coconut till it turns into brown shade. Keep it aside. Again in the same kadai, dry roast chana dal, urad dal and red chillies. We can roast them separately or combine them roast them. But do not mix them with coconut. Let them cool completley. Mainly coconut have to be cooled compeltely. We can do it a day before also. Keep it in an air tight container. Grind dals and red chillies to a fine powder. Add salt and again grind it again. Lastly add coconut and press pulse once or twice. We can make fine powder also. Allow this to cool for five minutes, and can be kept in an airtight container. Serve coconut powder with hot piping rice, idli or dosa. For more Pickles and powders click here.Thank you for visiting my blog. Hope you liked all my recipes. Any feedback and comments are appreciated.